At Kudos we specialise in in providing solutions that suit our customer’s requirements for their home and making this a reality for them. 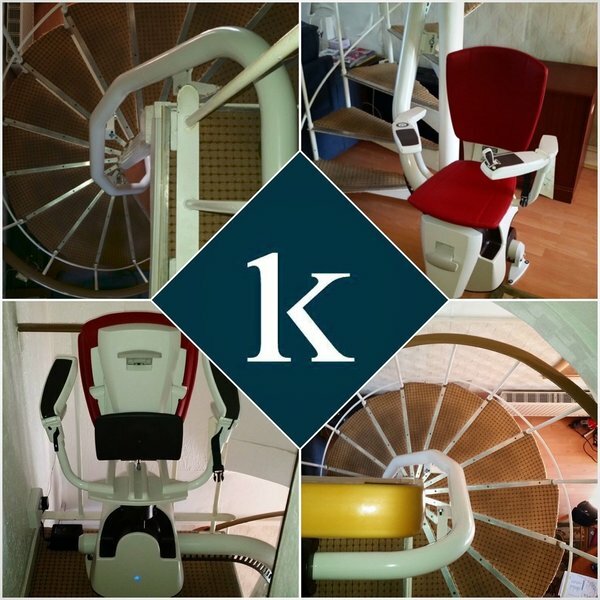 Our distinctive approach to offering the best solution for your home has led us to offer a truly versatile stairlift range. Available in a range of technologies, each widely used around the world, we are confident that we can offer you a configuration that will not only fit but is right for you. 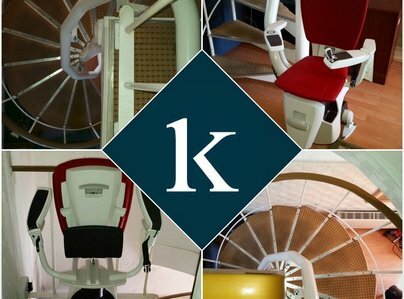 Our speciality range and design service also provides solutions for narrow and spiral staircases where others cannot fit. Security, reliability, and ease of use are the pillars of our design, which are delivered from the components we use and our attention to every single detail. Individual tailor-made projects, that comply with the highest quality and safety standards, allow each lift to feel unique and fit perfectly. 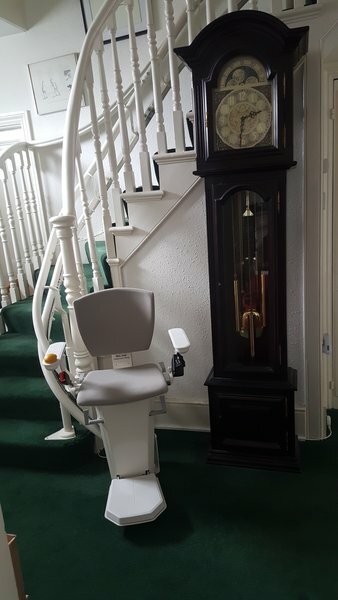 Troy installed my mother's stairlift very efficiently and was polite and professional and entirely tidy. 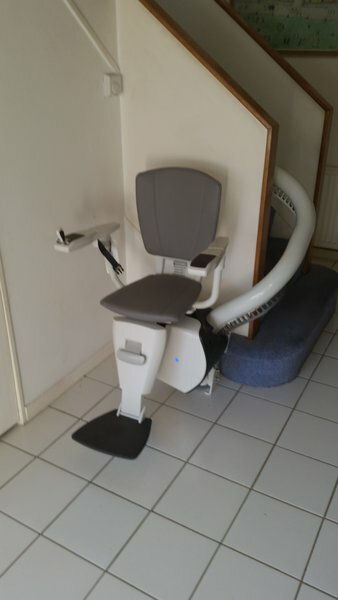 He gave us a helpful demo and answered all our questions and the stairlift looks very satisfactory indeed. Thank you. 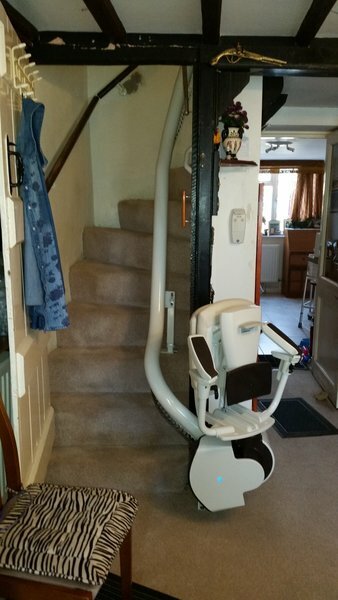 Had a Flow 2 stair lift fitted today for my Mum. Whole process was excellent from beginning to end. Great product and particularly good communication from office staff and field engineers. Absolutely delighted. Everything from start to finsih was explained clearly, Chris was brillaint, and not at all pushy/ When the team came to fit, they were pleasent, clean and helpful - they left no mess behind. No complaints, everyhting went exactly how you would want it to. Very professional and clean and tidy work area. 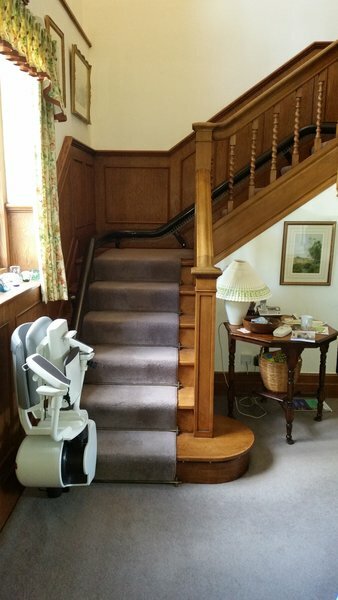 Very pleased with the complete system from when we made first contact with Kudos till the day the stair lift was fitted. Good job done by all, Thank you. 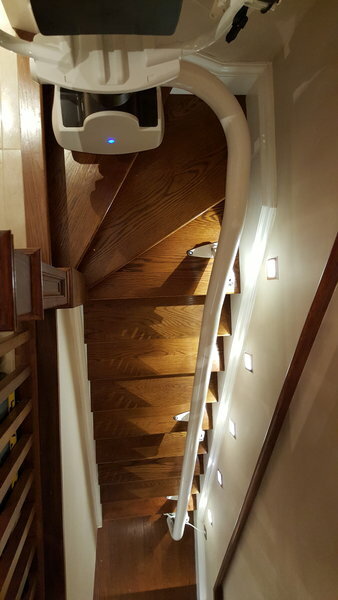 We are extremely satisfied with our recently installed stairlift. The work was carried out in a most professional manner in everyway. I.e. Value for money. Promptness and commitment. Cleanliness. Communication and updating. Fitted chairlift. Spot on absolutely brilliant in everything. 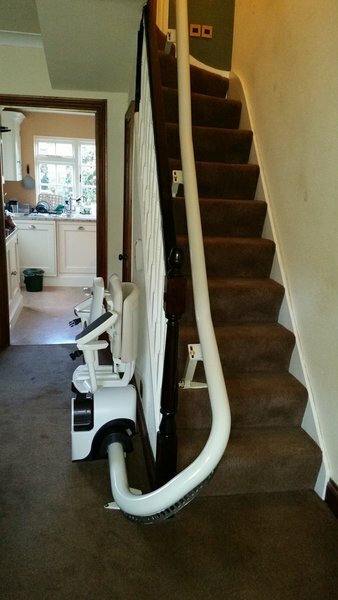 My disabled client needed a stair-lift installed on the advice of her Occupational Therapist. I set out to get three quotes and Kudos Stair-lifts was the last company that quoted. I was immediately impressed with their representative who was clearly thinking 'out of the box'. 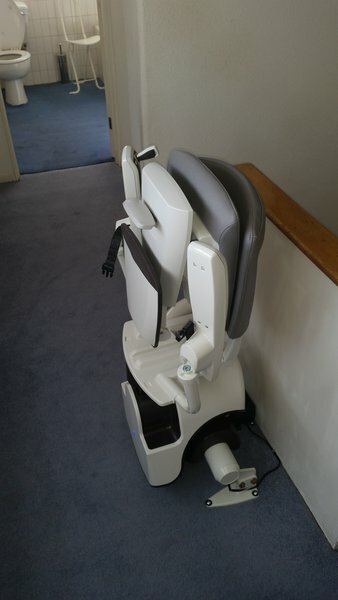 He made the suggestion to me that we place the stair-lift on the inner side of the stairwell rather than the outer side which would give the carers enough room to walk up or down the stairs alongside our client. 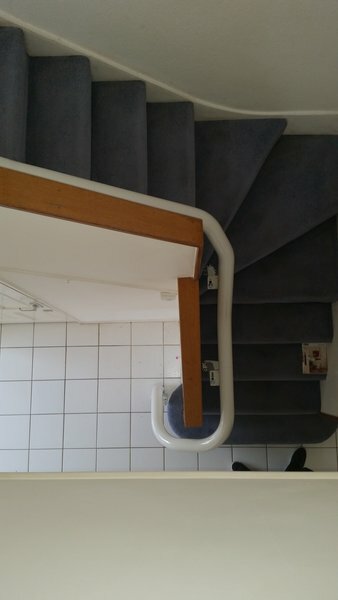 He also said that he could install one stair-lift over two floors (basement to first floor) with three 'stations' where the chair could stop whereas the other companies had indicated that this would require two separate stair-lifts and two chairs. This would have meant that we would have to get our client to transfer between the two chairs if she needed to go up or down both floors. Not only that, the actual chair is an excellent design as the arms cross slightly in front of the user for added safety. As our client suffers from epilepsy and can have a seizure at any time, this was an added bonus to the safety harness that is supplied by Kudos. I was extremely impressed with Kudos' work ethic from quote to finish. 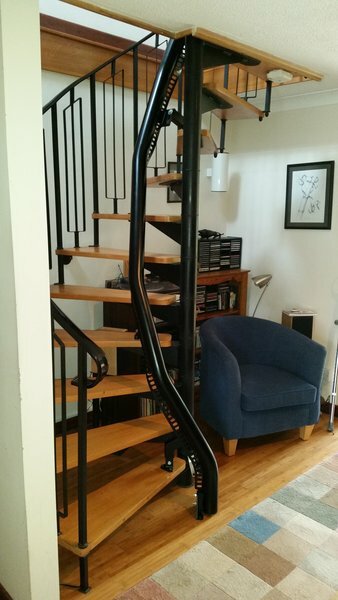 They followed up every step of the way, kept me fully informed of what would happen and when - and the actual installation was amazingly efficient and stress-free. 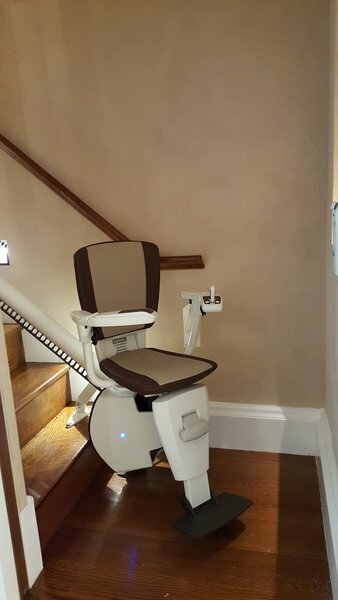 A very professional company that I would not hesitate to recommend to anyone needing a stair-lift.